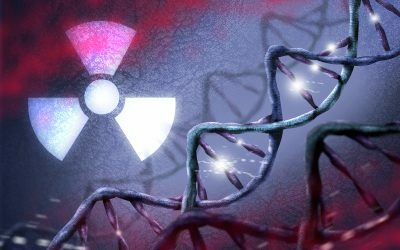 The Nuclear Medicine Research Infrastructure (NuMeRI) is part of the Department of Science and Technology’s South African Research Infrastructure Roadmap (SARIR). NuMeRI is a medical imaging facility dedicated to drug development and clinical research and will consolidate expertise and implement new strategic initiatives relating to R&D in nuclear technologies in medicine and the biosciences. This core research network is embedded within the healthcare domain, which lends to a mutually beneficial environment for medical research and general practice – with public health being the common goal. The research conducted at NuMeRI will contribute to the development of a range of therapies that address the national priority diseases. 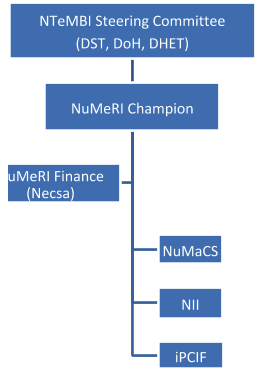 NuMeRI will be incubated within Necsa until an independent NuMeRI legal entity has been established. The research infrastructure will provide enabling support for healthcare research and development for academia as well as commercially driven healthcare companies (pharmaceutical and biotechnology). NuMeRI’s effectiveness will be measured in terms of research, innovation and value generation in areas of country- and region-specific health challenges. NuMeRI will be instrumental in capacitating the public healthcare sector with critical / scarce skilled medical professionals through the provision of key infrastructure that is unique to their field(s). The very nature of NuMeRI’s research activities necessitates a coalescence of their objectives with the priorities of the National Department of Health. 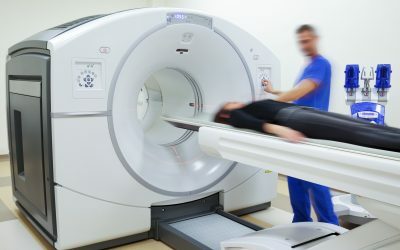 The research infrastructure will be rolled out in a phased approach, with the establishment of an interim pre-clinical imaging facility at Necsa, Pelindaba to allow for immediate operations during the construction of the main NuMeRI site. a NuMeRI radiobiology facility at iThemba LABS in Cape Town. The NuMeRI Main Centre at Steve Biko Academic Hospital (NuMaCS) will be established in a new building to be constructed adjacent to the current Nuclear Medicine Department. a GMP facility for the production of radio-isotopes. The pre-clinical imaging equipment (currently at Pelindaba) will be moved to NuMaCS once the new building has been constructed. 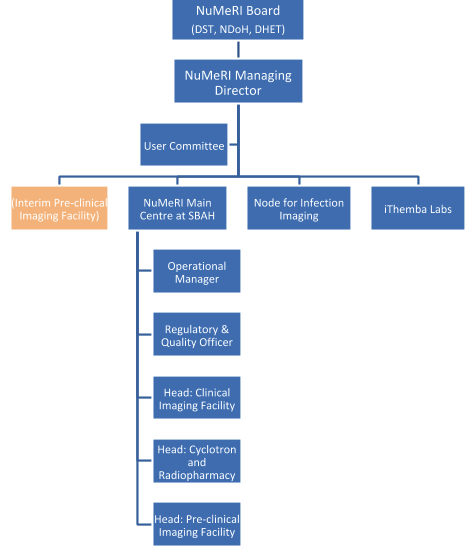 The NuMeRI Node for Infection Imaging (NII) will be hosted by the Central Analytical Facility at Stellenbosch University. Negotiations are ongoing with the Western Cape Department of Health to build and operate the facility at Tygerberg Hospital. use the existing radiobiology and radiolabelling lab at iThemba LABS to perform in vitro cell studies with radiolabelled compounds. NuMeRI has refurbished and taken over the operation of the existing pre-clinical imaging facility at Pelindaba. An animal rack and incubator. This equipment will be moved to NuMaCS once the facility at Steve Biko Academic Hospital has been constructed. NuMeRI will be accessible nationally, but the facilities will be strategically located at the designated centres / hospitals with existing competence and sufficient concentration of relevant expertise. The access to NuMeRI will be in the spirit of all Research Infrastructures (RI’s) nationally and internationally, namely Open Access. This is often misconstrued to mean that access is free. In the case of NuMeRI, where experimental consumables (radioisotopes, animals and pharmaceuticals) are a major part of the costs, this cannot be sustainable. Hence the philosophy for NuMeRI will be “Open (but not free) Access”.